Noah Syndergaard pitched brilliantly against the Nationals in the Mets home opener on Thursday afternoon. He allowed three baserunners through six innings of work, struck out six, and carried a no-hitter through five innings. He also took the loss, due to the combination of an equally dominant performance from Nationals counterpart Stephen Strasburg and the fact that his Mets teammates spent the afternoon wandering around groggily in little beanie nightcaps and fluffy slippers due to an unforgiving schedule quirk. “Unfortunately, that’s the way it goes,” Nimmo said. “With Dom ... Some guys just don’t have to go after the game and it takes a while. If you catch him on any other night, then he just stays and gets an Uber. 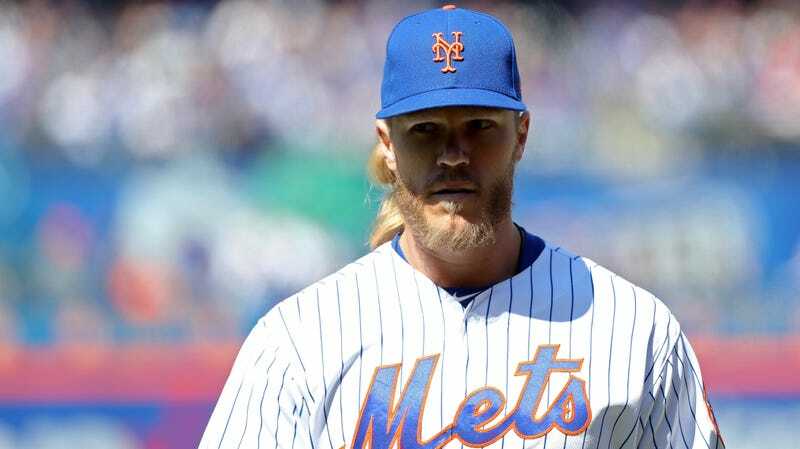 This is now the second time the various schedule-makers have run afoul of Syndergaard this season, and the second time that an already unpleasant travel sequence has been delayed by something ridiculous and unexpected. This season is seven games old.